Go, Live and Stay GREEN! If you're looking to GO, LIVE and STAY GREEN, Green People will help you! They offers handmade health and beauty products that are 100% natural and certified organic. Green People's Mission is to promote the green way of living, providing their high, truly organic, natural health and home care formulations for YOU. Established 17 years ago, and with a substantial distributor base across the UK, Green People is a recognised brand among organics enthusiasts. Green People also provides you FREE delivery on all UK orders as well as new special orders every month. 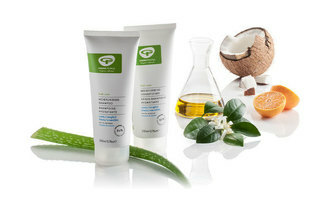 Offers you many alternatives for green and organic skincare amongst many other natural, clean and pure products. For you and your entire family. Enjoy, dear friend.